María Travers (LL.M. ’13) was appointed by Governor Roy Cooper to serve as chair of North Carolina’s Advisory Council on Hispanic/Latino Affairs. 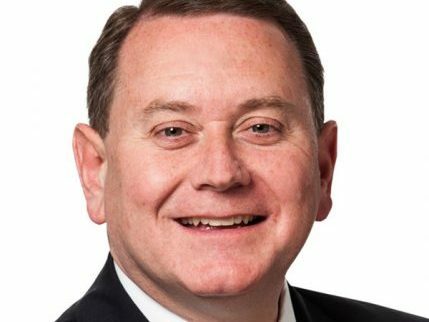 Robert “Bobby” J. Higdon, Jr. (BA ’85, JD ’89), a white collar and investigations partner for Williams Mullen in Greensboro, North Carolina, has been sworn in as United States Attorney for the Eastern District of North Carolina, following his nomination by President Donald Trump on Aug. 2, 2017, and confirmation by the U.S. Senate on Sept. 28. The International Jurist has ranked Wake Forest Law among the top LL.M. degree programs in its Spring 2017 issue. Wake Forest Law was among the schools to receive an “A” rating for “Best Law School Experience” and “Best Value.” It’s the second year in a row the law school has been recognized for “Best Law School Experience” by the magazine. After hearing about Wake Forest Law’s strong ranking and reputation from a professor at University of Bahrain, Abdulla Husain (LL.M. ’17) knew it was the ideal place for him to pursue an LL.M. Javlon Otakulov (LL.M. ’17) stumbled upon Wake Forest Law while researching LL.M. programs in the United States, and he was instantly hooked. Knowing he wanted to improve his professional skills, Otakulov moved from Uzbekistan to Winston-Salem, North Carolina. Wake Forest Law welcomed Ana Paula de Barros (LL.M. ‘17) with open arms. Originally from Brazil, de Barros knew she wanted to pursue an LL.M. in the United States, and for her, Wake Forest Law turned out to be the perfect fit. Wake Forest Law’s LL.M. 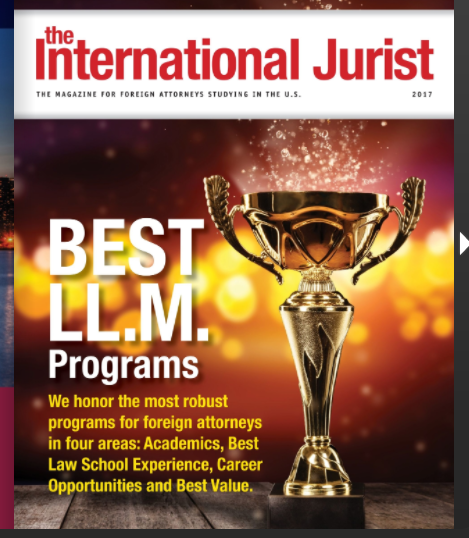 degree program was featured in the summer issue of the International Jurist as one of the best LL.M. programs in the U.S. in terms of law school experience. The International Jurist named Wake Forest Law’s LL.M. program, which is one of the longest running in the U.S., as one of the top 14 LL.M. programs in the category. The programs were selected based on the ability to help students receive hands-on training, collaborate with U.S. students, participate in extracurricular activities and more. Sarah Turner (LLM ’15) of Norwich, United Kingdom, knew when deciding on an LL.M. program that she wanted a unique experience in a supportive environment. Her adviser at the University of East Anglia encouraged her to consider Wake Forest Law because of its small class sizes and its reputation for rigorous academics. Turner is happy she took that advice. “After spending a year at Wake Forest, I consider my initial application to be one of the best decisions I have ever made,” she said.